In stock -This product will ship today if ordered within the next 2 hours and 33 minutes. Fresh Freeze-Dried Cranberry 300mg 100 Vegan Capsules. 100% Fresh freeze-dried Cranberry - no fillers, binders or other additives. As a food supplement for adults, take 1-3 vegicaps 1-3 times per day with food. 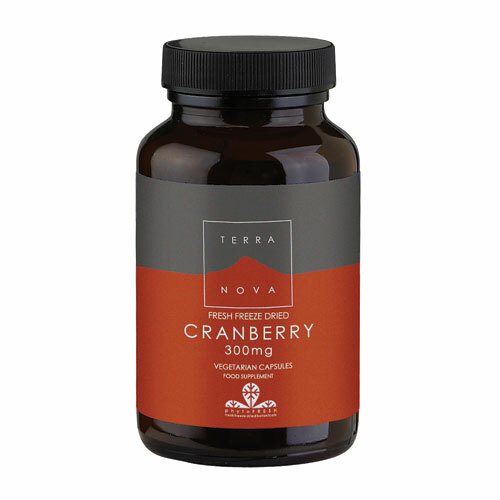 Below are reviews of TERRANOVA Cranberry 300mg - 100 Vegicaps by bodykind customers. If you have tried this product we'd love to hear what you think so please leave a review.